You will be happy to hear that my drawloom is all dressed and set up. And it works! Every glide of the shuttle reveals exceptional magic in the cloth. Even better than I had hoped. 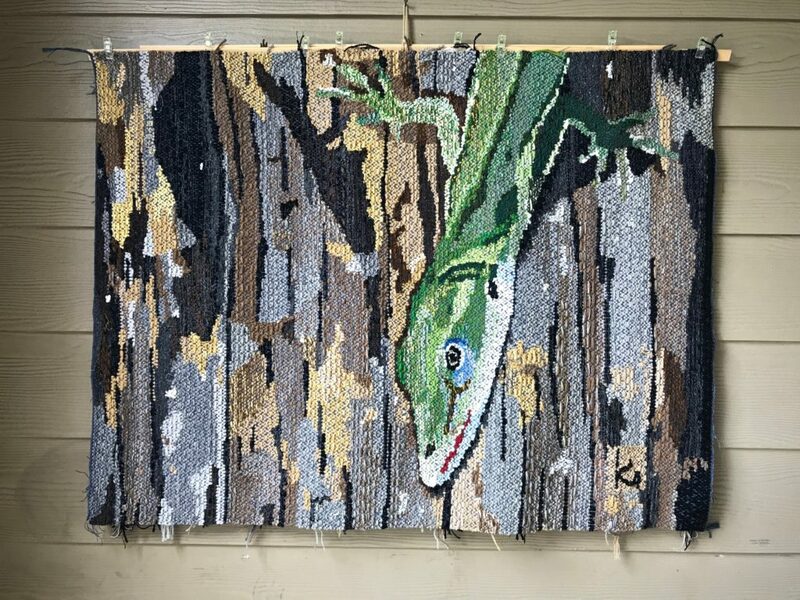 Pattern heddles are long, with a normal 1/2-inch eye. Breast beam is used for sorting pattern heddles into units and then adding a 2-lb weight (lingo) to each unit. In this case, four heddles make one unit. Inkle band from my “band stash” helps me separate pattern units that will be placed onto a pattern shaft. 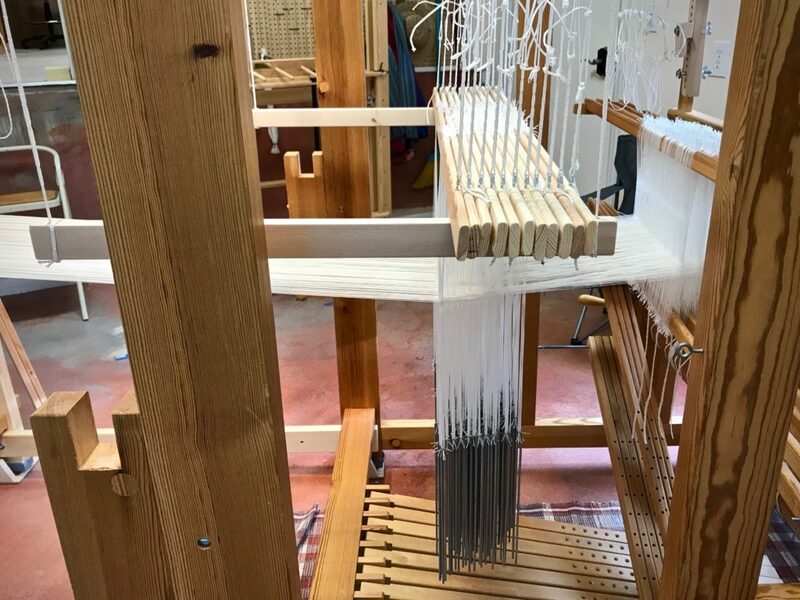 I had a few nervous moments while dressing this expansive loom, struggling with the pattern shafts. I learned the hard way that attempting a shortcut can mean taking much longer to complete the task. But, in the end, everything straightened out. Whew! Oops. I successfully distributed pattern units onto one pattern shaft, moving it onto the pattern shaft holders. So, I thought, Why not do two shafts at a time? Uh oh. Not a wise move for a beginner like me. Ten pattern shafts, plus one extra shaft for selvedge threads. After fixing my little mishap, I took my time to finish transferring pattern units to the pattern shafts. Drawloom’s first project is mostly practice and samplers. This pattern is taken from Learn Damask in a Day, by Tina Ignell in VävMagasinet, January, 2011, pgs. 40-41. Eight-pointed star is seen often in traditional patterns. This eight-pointed star with diamonds is found in Drawloom Weaving, by Joanne Hall, p. 12. 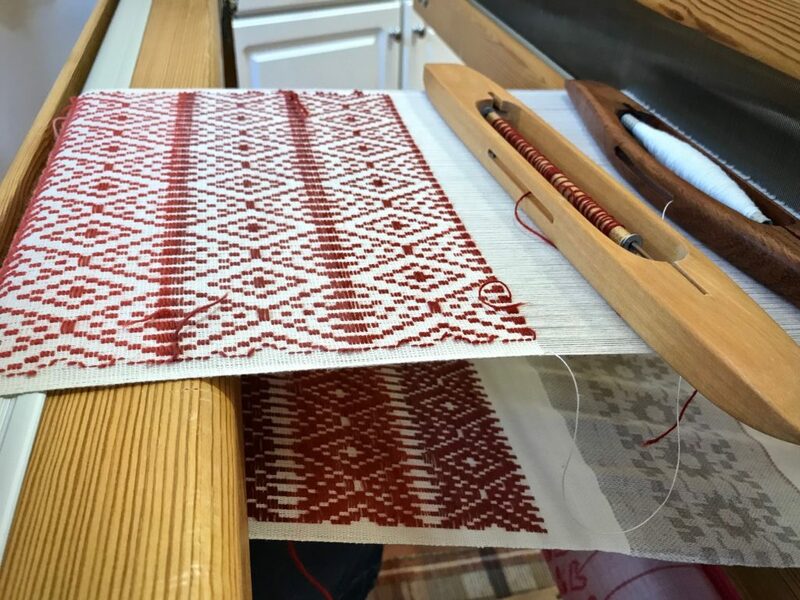 I created the border design at the loom. 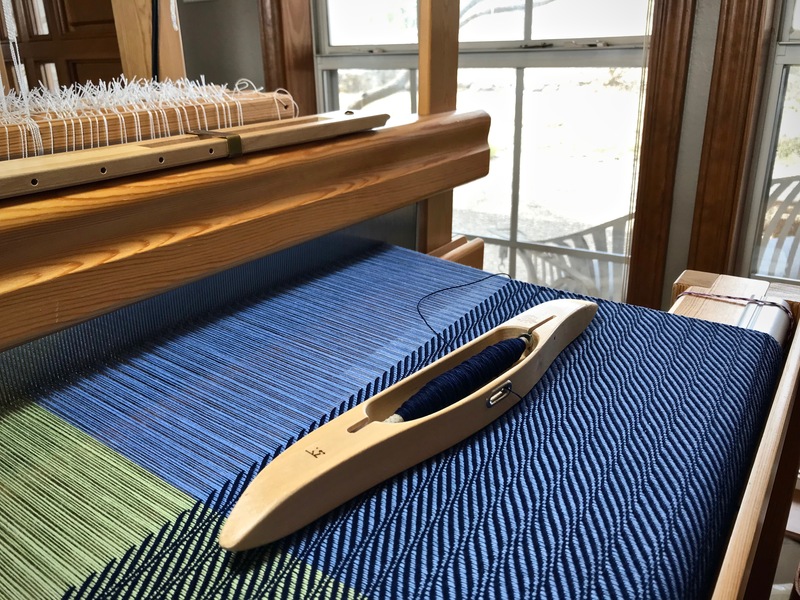 Light catches the warp threads in the 4-shaft broken twill as the cloth goes around the breast beam. May your struggles turn into triumphs. Janet, who is interested in drawloom weaving, asks these questions. Joanne Hall provides the answers. Q: I am trying to determine where to put a drawloom. 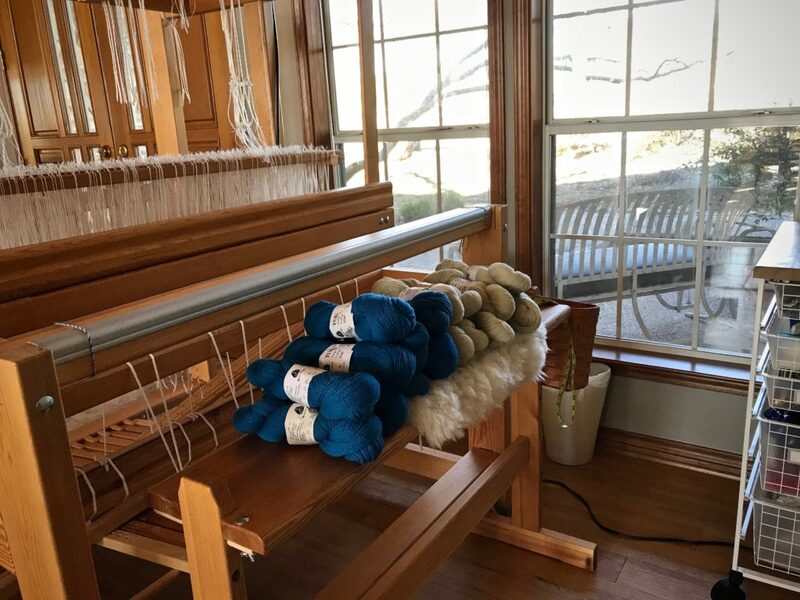 How much floor space does a drawloom take? And how much additional area will I need around the loom? A: These are good questions. 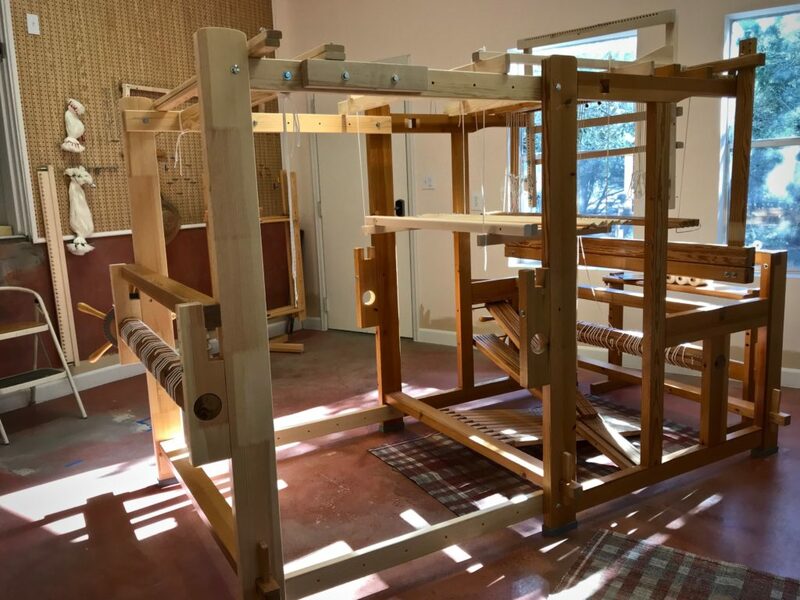 Many weavers think about these things when they become interested in getting a drawloom. 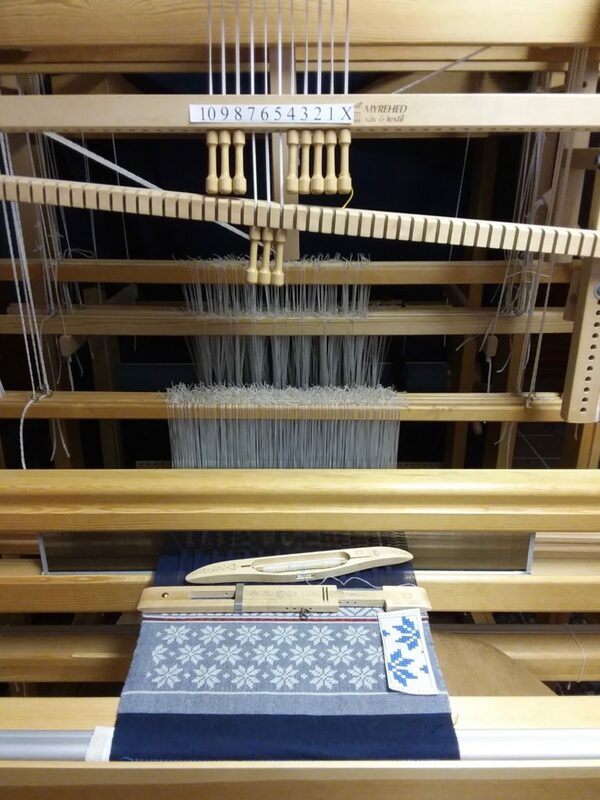 Glimåkra 120cm Standard, with Myrehed drawloom. 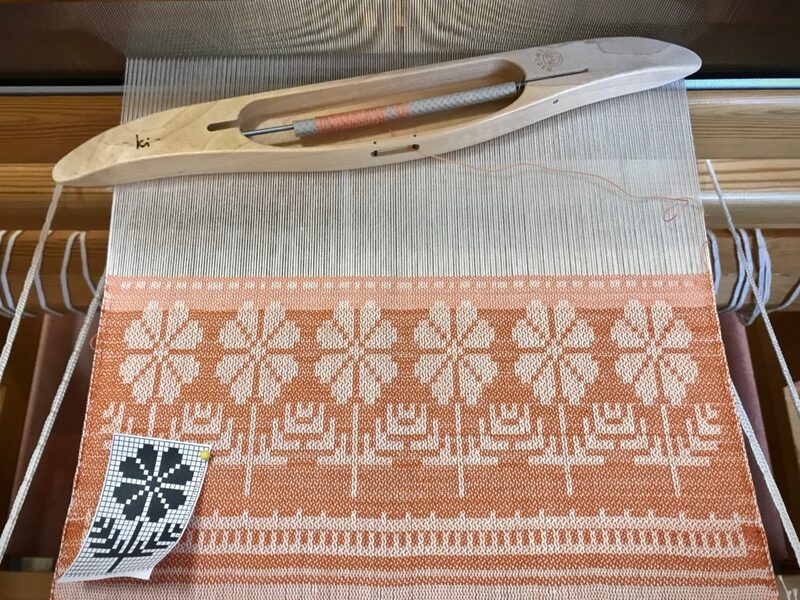 Photo from Drawloom Weaving, by Joanne Hall. 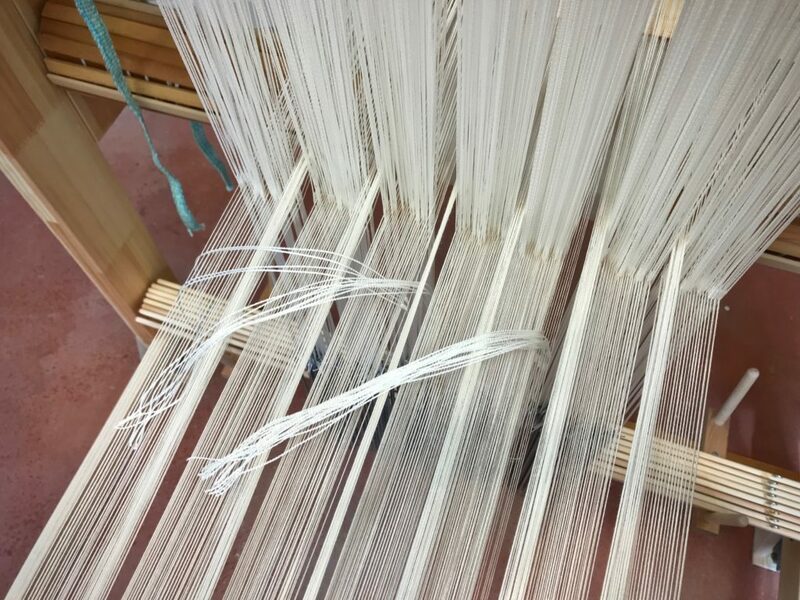 For either the 100cm, 39.5-inch Ideal or the 100cm Standard, the width of the loom is 4 1/2 feet. Part of this is the ratchet wheel that sticks out 5 inches from the loom frame. 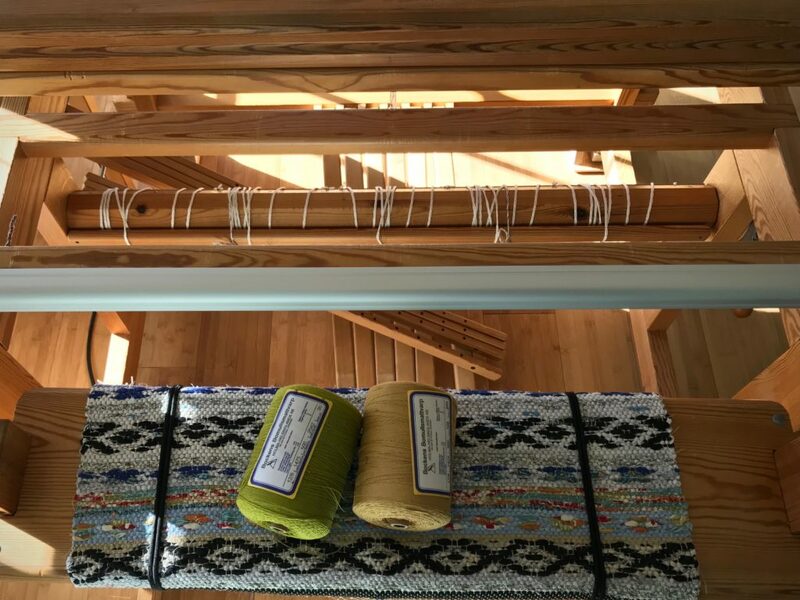 The 120cm, 47-inch loom would be 8 inches wider. Without considering space for the bench, the depth is 7 1/2 feet. 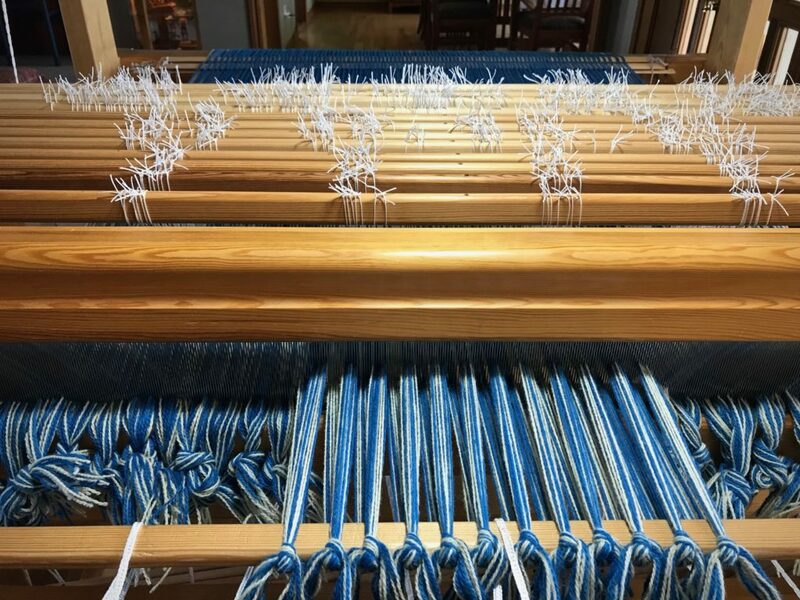 The Ideal loom will have the same depth as the Standard loom. 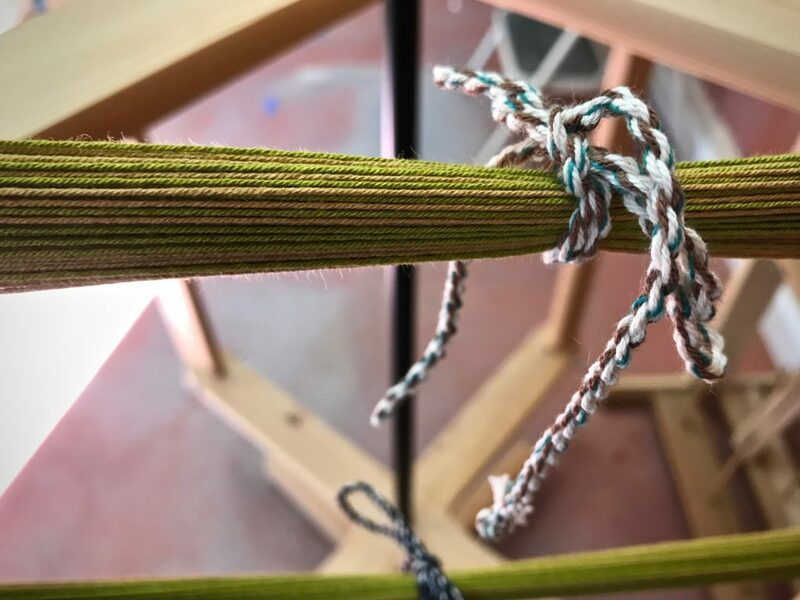 The Standard loom can be set out another 1 1/2 feet further, which may be nice if one wants to have 50 pattern shafts. 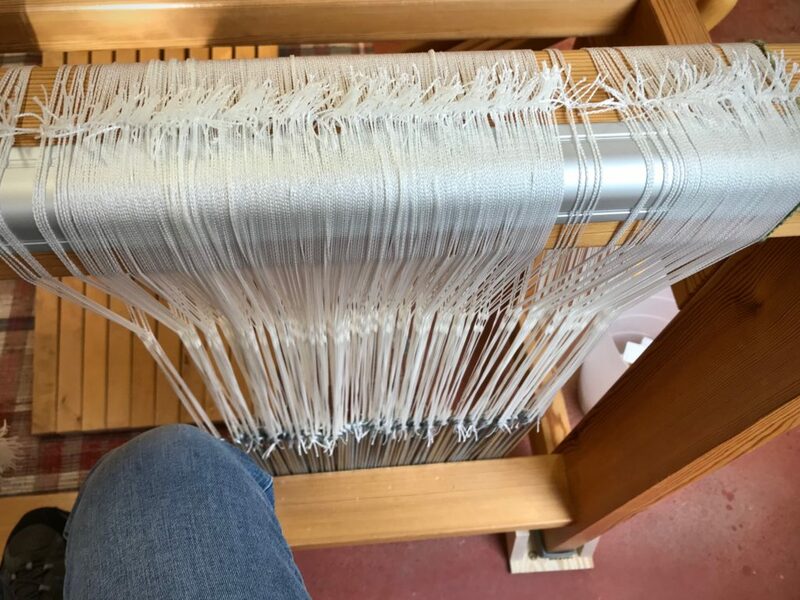 One occasionally needs to stand on the left side of the loom during warping. You need to stand at the back of the loom and walk along the right side the loom to move the ratchet wheels. 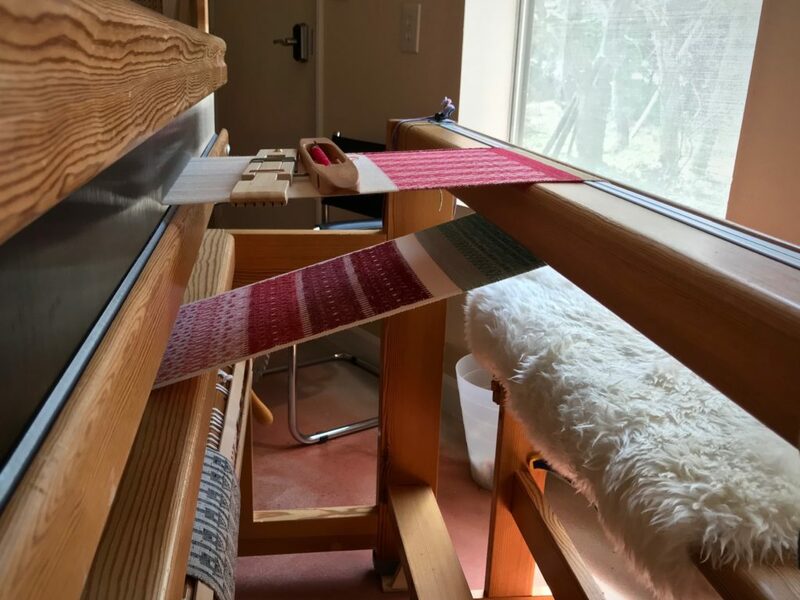 When beaming the warp, it is good to have two or three feet of space either at the front or the back of the loom. 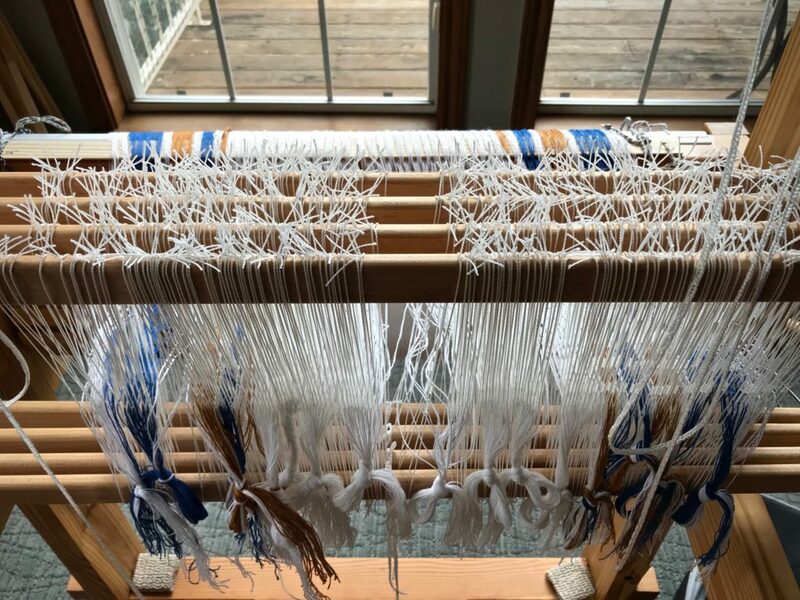 During warping, you will need space at one side of the loom to move the pattern shafts and warping sticks in and out of the loom. So, you need about 6 – 7 feet by 12 feet, but some get by with a few inches less. 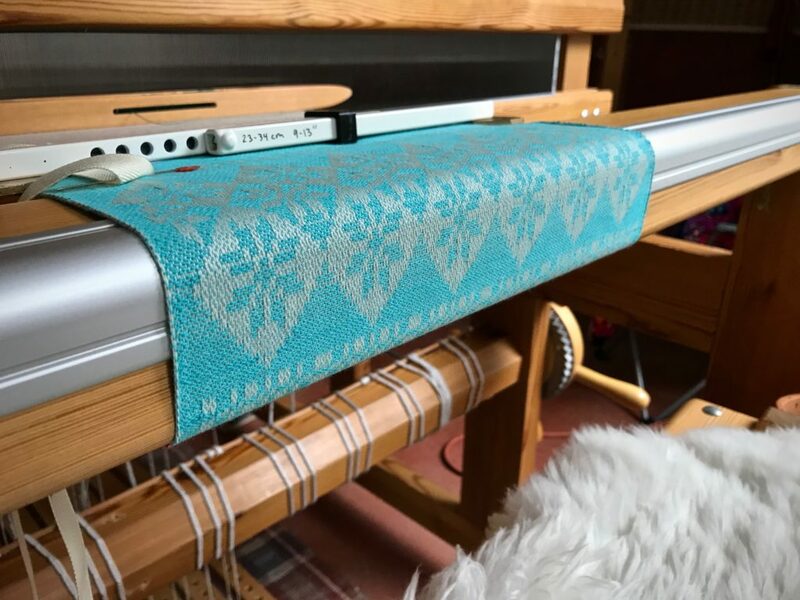 Q: Can any Ideal or Standard loom be converted to a drawloom? 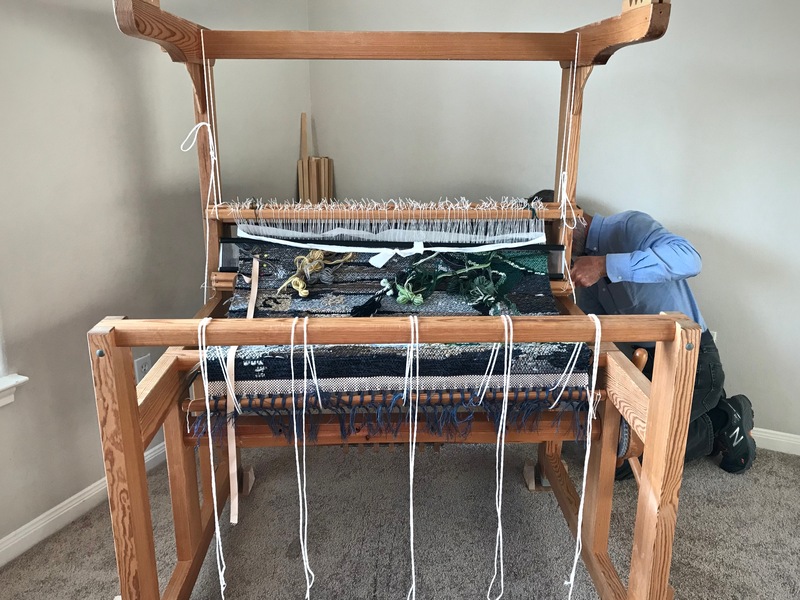 What are the “must haves” to look for in a used loom that will be set up as a drawloom? 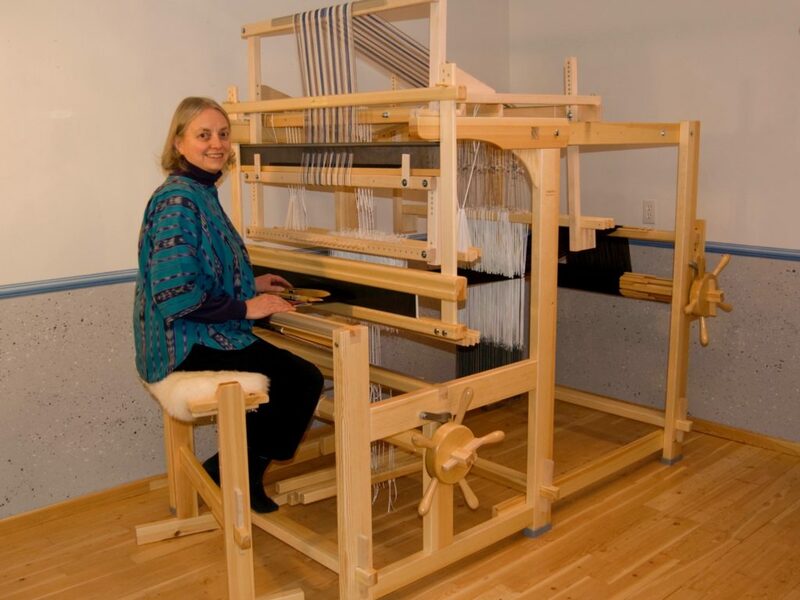 Joanne Hall at the 100cm Ideal loom with single unit drawloom. (The drawloom extension is no longer made for the Ideal loom.) 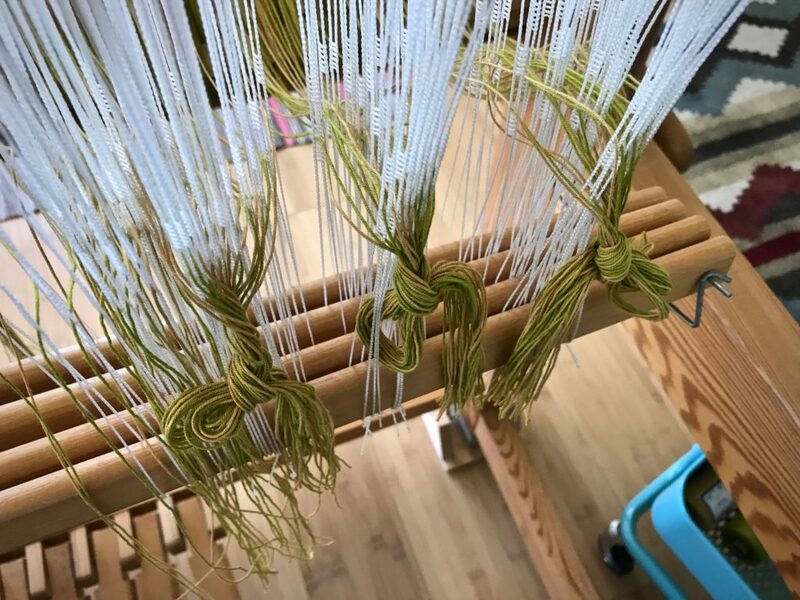 Photo from Drawloom Weaving, by Joanne Hall. 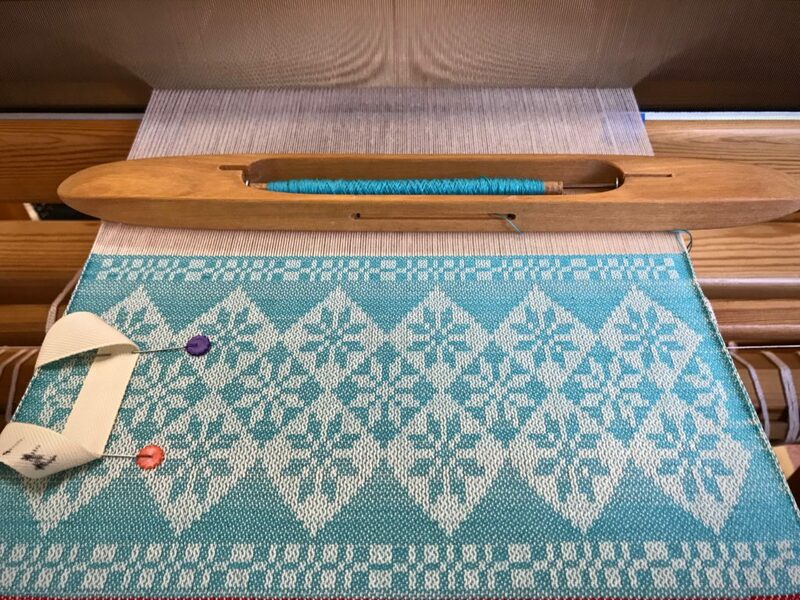 A: I frequently hear from weavers who send me photos of a loom and drawloom that they have found online. They want to know if $3800 is a good price for it. Often it is 40 years old and is being sold by the grandson, who cannot answer your questions. 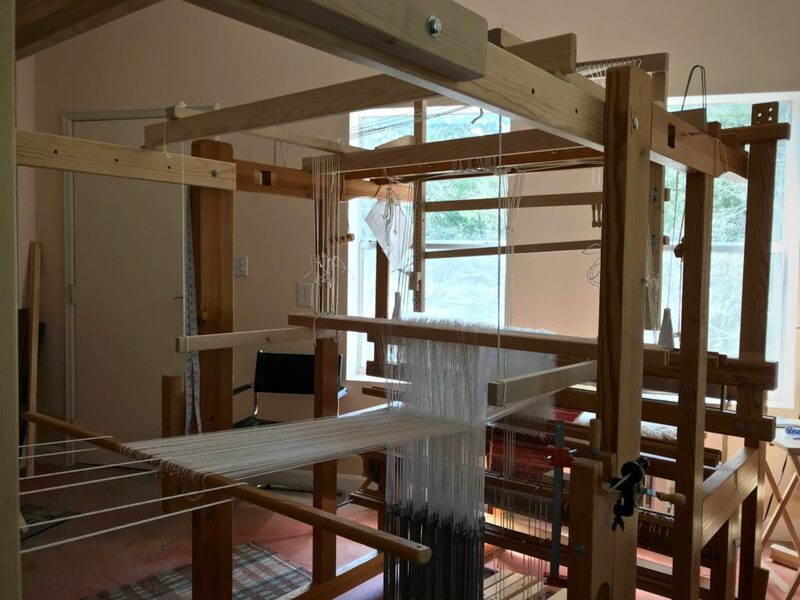 If you are hoping to save a little by finding a used loom, it is best to purchase a used Glimakra Standard loom of any width and any age and then purchase the drawloom new. That way, you can get help when you need it. Plus, the Myrehed drawlooms have advantages over the older-style drawlooms. 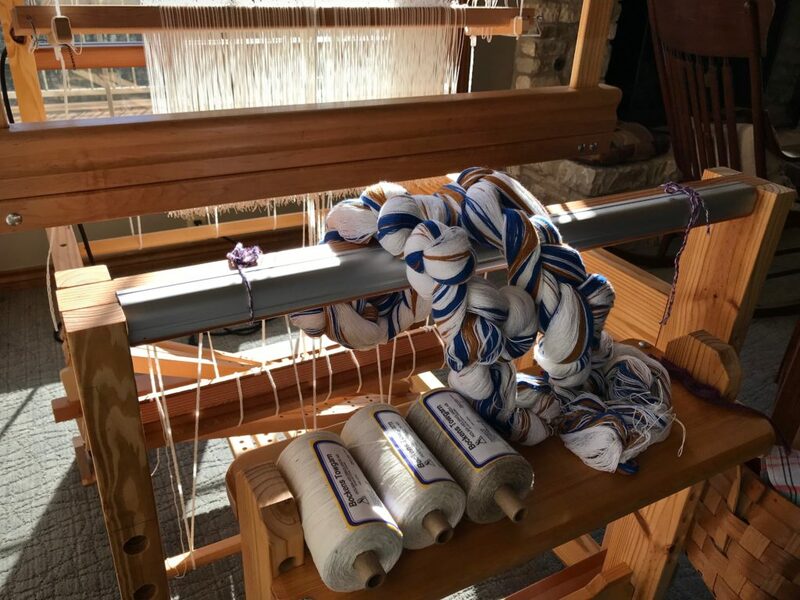 I love my Myrehed drawlooms and once you try it, you will find that it is not so mysterious, but instead, a lot of fun to weave on. Amazing. Love the blue on the 8 pointed star pattern. Hi Nannette, Elegant is a good word for this system. The other side of the fabric is the exact opposite in warp-faced and weft-faced, reversing the colors. So the back of the 8-pointed star is just as pretty as the front. You are so amazing, Karen! The patience and intelligence required to learn this system leaves me in awe. And, of course, the weaving skills you possess! I am so happy for you that this dream has come true. Your samples are gorgeous! 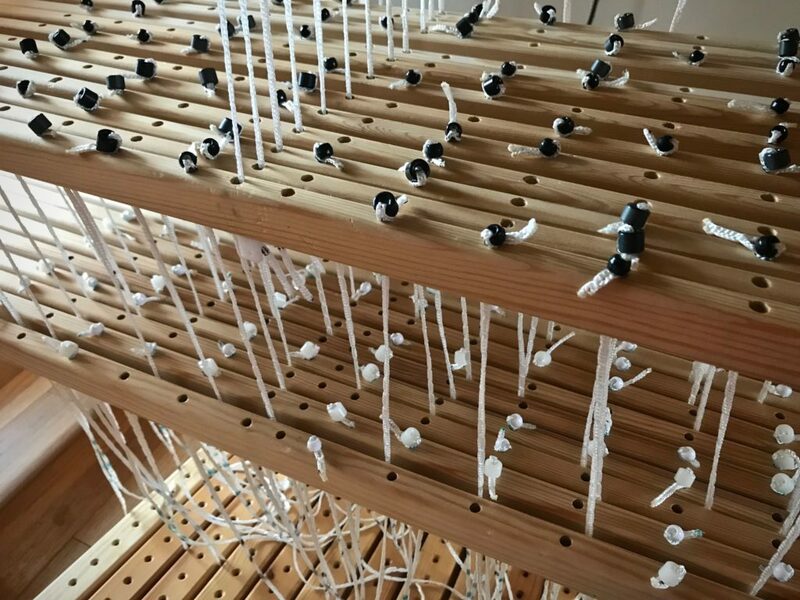 Hi Annie, There are a few more steps in setting up a drawloom, but it’s really not complicated. It helps that I’ve had a top-notch teacher! I’m going to have fun with all the possibilities on this loom! Absolutely beautiful, you’ll have so much fun on this one! You are a prime example of how far devotion and perseverance can take us, you truly inspire! Hi Elisabeth, I’m having a great time with this. Perseverance doesn’t seem hard when it’s something you really want to accomplish. Hi Linda, You are welcome! I’m glad you find it interesting. Karen, your first project looks fantastic! Way to get started on the right foot with a fantastic and patient teacher!! Thank you getting the questions to Joanne, very helpful! Hi Janet, We are very fortunate to have Joanne to help us learn what we need to know. All the looms are bare right now. Four empty, quiet looms. But they won’t be quiet for long. I have thread/yarn and plans ready for each loom. I hear a rumbling as the looms begin to wake up. Before long, the weaving rhythm will be fully awakened in this place! Glimakra 100cm Ideal countermarch loom has moved into the spot vacated by my recently-acquired Glimakra Standard 120cm countermarch loom that we have moved to a new location. 12/6 cotton rug warp in Pear and Brass for Rosepath rag rugs. 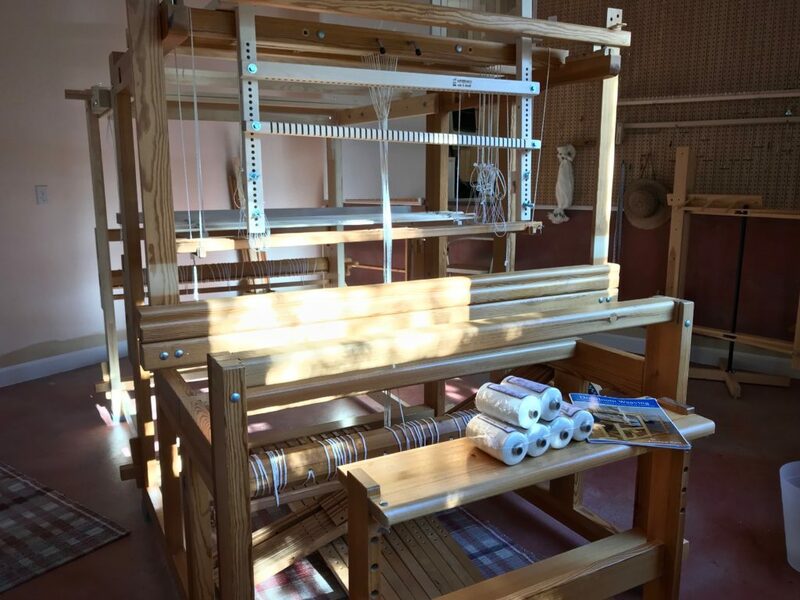 Glimakra 120cm Standard countermarch loom in its favored position in our home. This loom has not been moved. 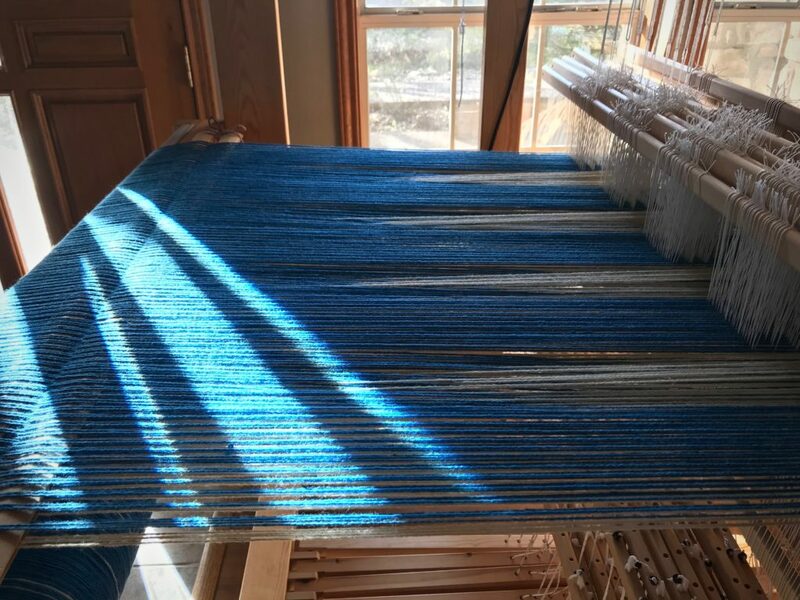 6/2 Tuna wool in Lapis Lazuli and Almond for a 12-shaft double weave blanket. Handbuilt little 70cm countermarch loom in its perfect little corner by the windows. Pre-wound warp from Vavstuga (Mary’s Towel Kit) that my dear friend Elisabeth is letting me weave. 22/2 Cottolin in Sapphire and Yellow Ochre for towels. 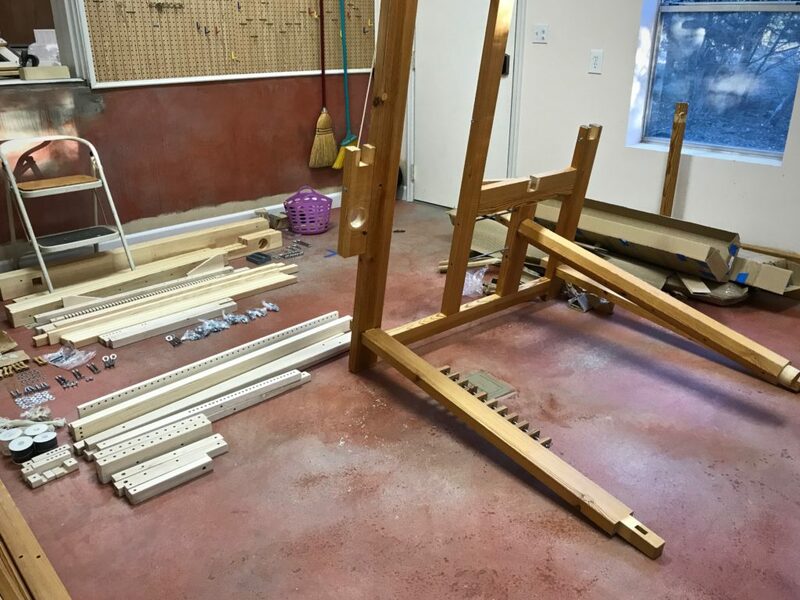 Glimakra 120cm Standard countermarch loom…in pieces. 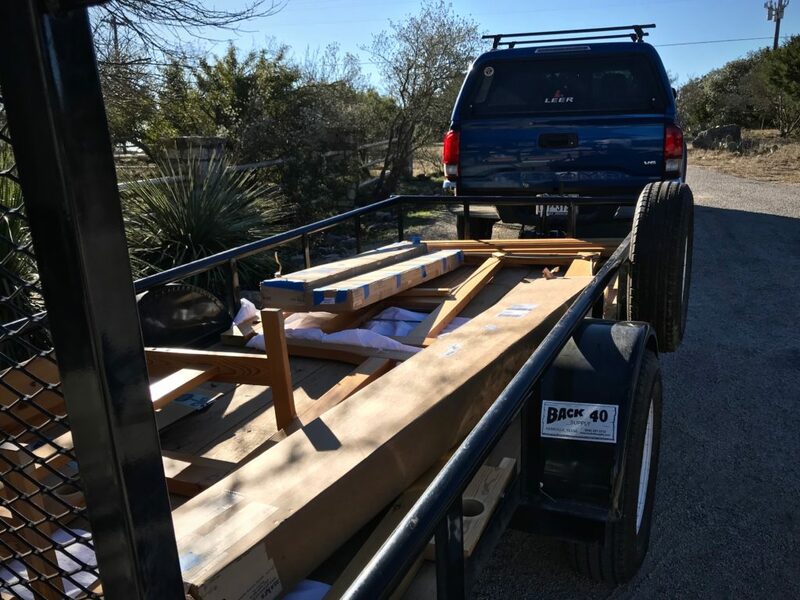 We are moving the newest loom in the family to a room that is next to Steve’s carving workshop. 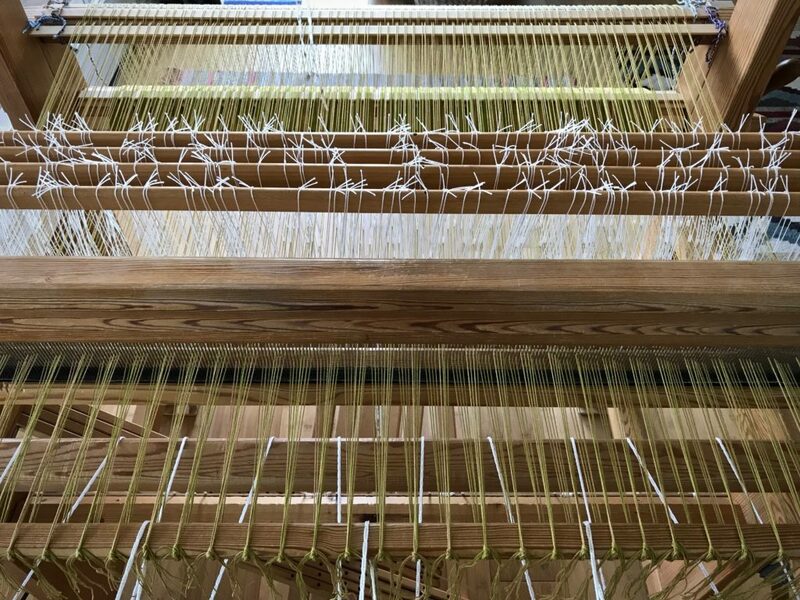 Glimakra Standard horizontal countermarch loom is being reassembled in its new Drawloom Studio! The drawloom boxes have been opened and parts sorted and organized. Let the fun begin! The room is undergoing some renovations, too. 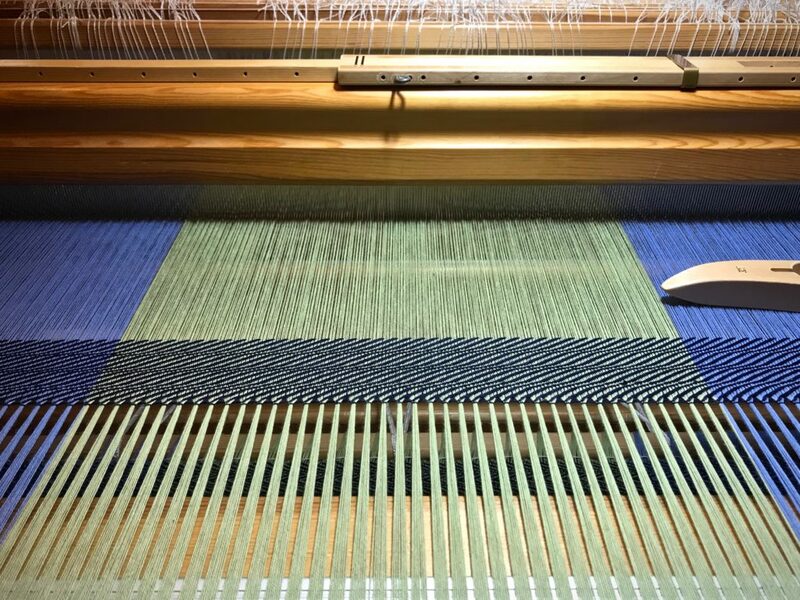 Draw attachment frame obstructs the jacks in the horizontal countermarch on the 120cm Standard loom. So Steve made all new horizontal jacks for the countermarch. Loom has an extension added at the back. We put it at its fully extended length to make sure it fits in this room. It does! Glimakra Standard with Myrehed Combination Drawloom–Shaft draw system and single unit draw system. Unbleached 16/2 cotton for I-don’t-know-what-yet. But I will soon! Book pictured is Drawloom Weaving, An introduction to warping and weaving on a drawloom by Joanne Hall. May you see your best dreams unfold. 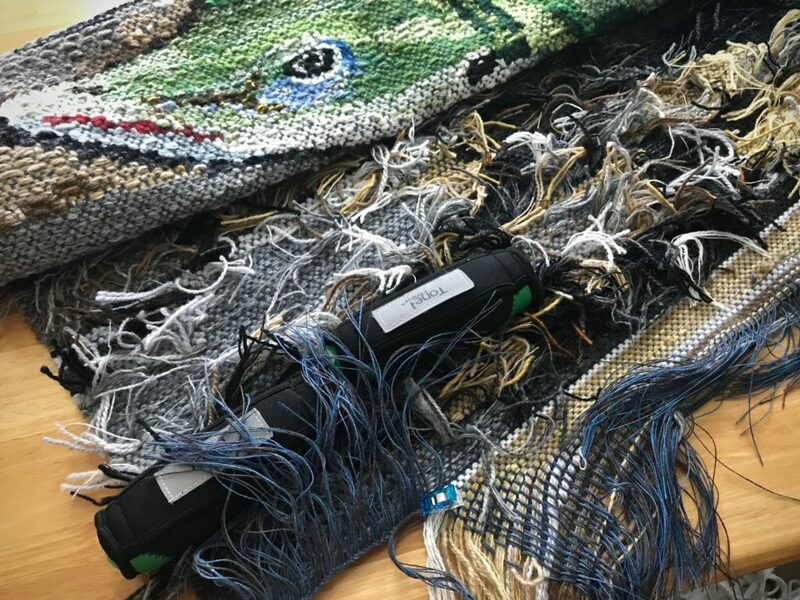 You are gathering quite a herd of beautiful looms! Hi Debbie, I can’t deny it. Each one fills a purpose. However, the reality is that I can only weave on one at a time. So I think I’m done gathering looms…for now. Wow, so many looms, it’s like a dream! Hi Kelly, I am very fortunate. This really is a dream come true for me! Hi Betsy, Your baby is just waiting for you to come and see her! As soon as I get her all dressed and ready I’ll let you know. I’d be thrilled for you to come out! Wow! I look forward to your postings on the progress. Hi Nannette, It will be fun to share how each of these develop! Thanks for being interested. Wow!! I am excited to see what you bring forth from that draw loom!! Have fun!! Hi Mary, It’s very exciting! So many possibilities. You are an inspiration, my dear!!!! Hi Alice, Aww, you’re sweet. I’m blessed to get to do these things. What a lucky girl you are to have so many beautiful looms! I too am a lover of Glimakras. 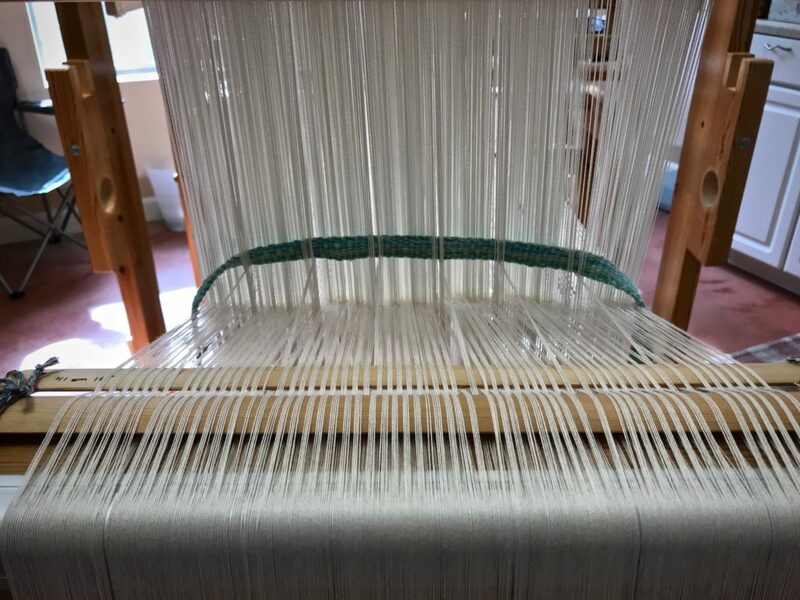 I love their simple beauty, the way they whisper while you weave, and the ease of treadling. Can you help me with a warping question, please? Where do you put the raddle when you warp back to front? 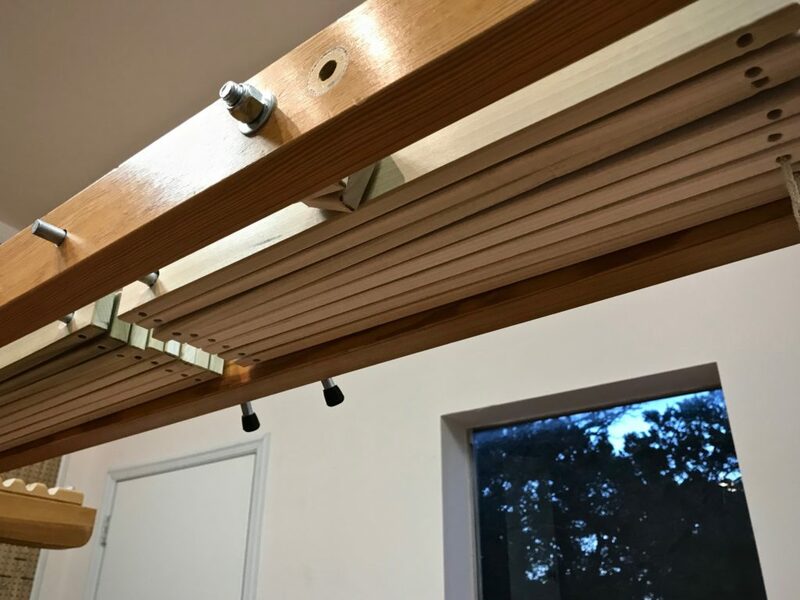 I have tried Joanne’s method of putting the raddle on the back beam, but I would prefer to rest it further toward the front, perhaps on top of the castle or even resting, clamped, to the shafts. The lease sticks would be in their usual position per Joanne’s method. Also, I wonder if you have any tie-up tips for the original Ideal that doesn’t have the “doorway”and extra room that the Standard has. I find the tie-ups truly tough to reach. Thank you! I LOVE your blog! Hi Robyn, I have never used a raddle. I just pre-sley the warp ends in a reed. So I don’t have an answer for you on that one. For the Ideal, I do most of the tie-ups from the front of the loom. It can help to set the treadles on a box so that you can have both hands free for the tie-ups. I also usually put in all the treadle cords first, and then attach the cords to the treadles. That seems to make it a little easier. I also take breaks so I don’t strain my back. I’m so happy to have you coming here. Thanks for asking great questions! Amazing! You are the Gkimakra poster child! Hi Shari, It’s no secret. I do like my Glimakras! I am so happy to see your draw loom dreams come true, Karen. Life is good! Hi Annie, It’s an adventure!